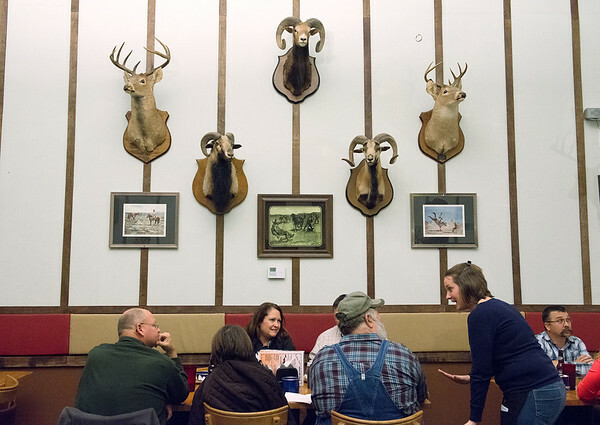 Becky Peavler excitedly chats with a table of customers during a busy night at Cowboy Bob's in Asbury, Mo. on Feb. 15, 2014. Cowboy Bob's functions as the main gathering place in Asbury.